Urban Ashes of Ann Arbor, MI, is giving diseased trees and disrupted lives a second chance. The company specializes in the manufacture picture frames from reclaimed wood from the urban forest trees infested by the emerald ash borer and deconstructed buildings. 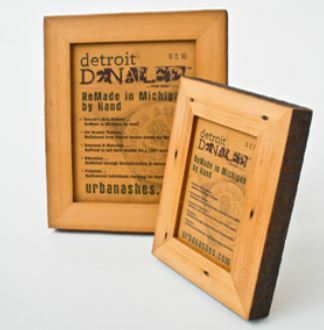 Urban Ashes’ phenomenal growth is evidenced by the more the more than 200 stores in 40 states that now sell its custom frames, according to a report by the MLive. The newspaper’s feature on Urban Ashes and its owner Paul Hickman focuses on the role former prison inmates are playing in the company’s success. Read the article and view the slide show.